A one time donation of money or materials can be applied to either the general fund or a special project. 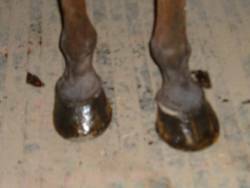 - $5.00 will buy enough Ivermectin paste de-wormer for two horses. - $10.00 will buy one bag of food to feed one healthy horse for one week. - $15.00 will buy enough hay for one horse for one week. 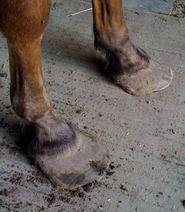 - $30.00 will allow our farrier to trim the hooves of one horse. - $100.00 will provide food and hay for one healthy horse for approximately one month.